Edgewood College Gallery is located in Edgewood College's newest building, The Stream, overlooking Lake Wingra. To get here, take Monroe to 1000 Edgewood College Drive and turn at the college's main entrance at the light on Monroe Street. Please use visitor parking and register your car during daytime hours or park freely in available parking spot during evening events. The Stream is a short walk from parking areas toward Lake Wingra where the building can be found next to the Oscar Rennebohm LIbrary. 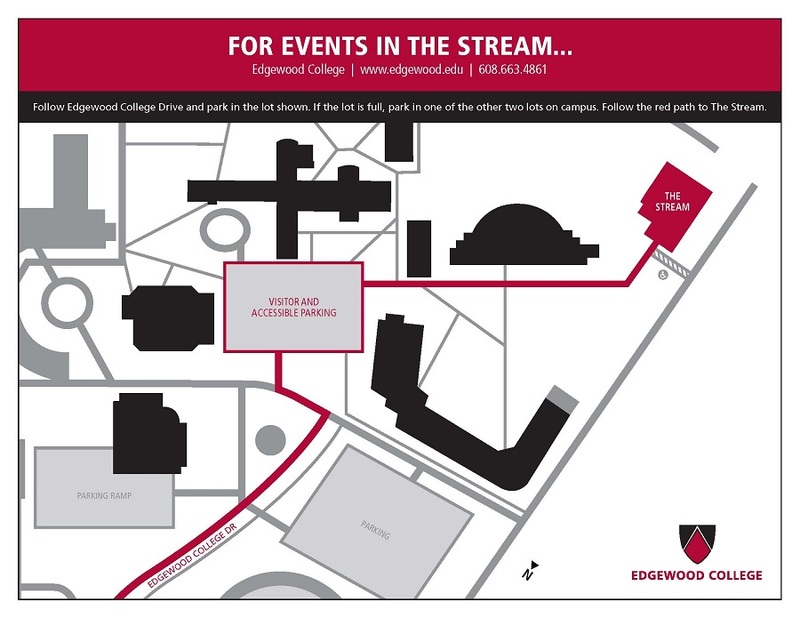 Visitors are encouraged to visit campus by taking the #3 bus to the Edgewood College stop. Edgewood College’s Art faculty are educators as well as practicing studio artists, scholars, and designers who are long-time members of Madison’s vibrant arts community. As an extension of the Art Department, the Edgewood College Gallery serves both the College and the public and provides a bridge between academic specialists, established arts patrons in the community, and newcomers to the arts. We offer contemporary, accessible and high-quality programming that responds to the needs of the community and serves an expansive spectrum of arts viewers—from the beginner to the mature and advanced arts lovers.